Collegiate Members - Risk Reduction - National Hazing Prevention Week - Sigma Nu Fraternity, Inc.
National Hazing Prevention Week (NHPW) is a time when communities, institutions, organizations, and individuals make a concerted effort to raise awareness and increase education about hazing. NHPW is officially held the last full week of September each year; however, anyone is welcome to organize a hazing prevention week at any point of the year. 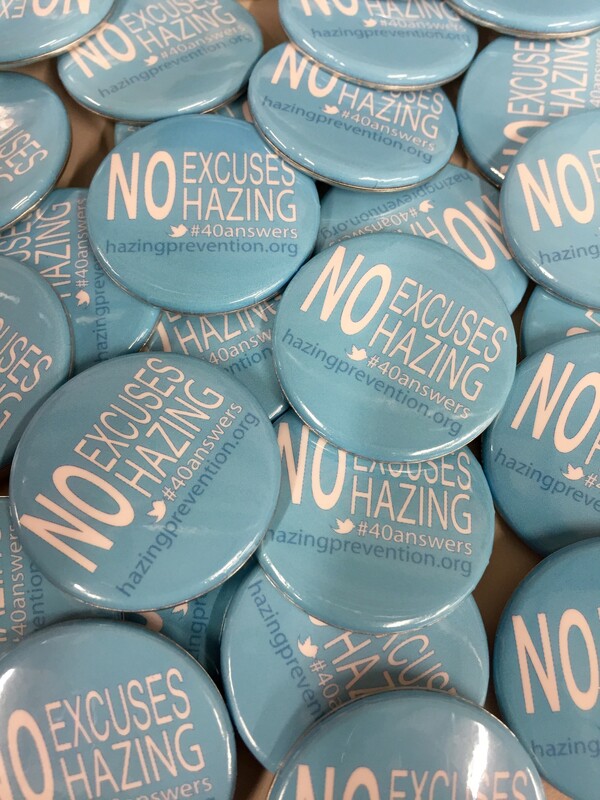 The fundamental objective is to have a specific time in which the entire community is focused on engaging in intentional discussions about the problem of hazing. Nationally, Sigma Nu regularly participates in NHPW through the #40Actions campaign in the 40 days leading up to NHPW and various anti-hazing blog posts and articles during NHPW. The official NHPW website has a number of helpful resources and ideas to get NHPW started on your campus. The free NHPW Resource Guide includes numerous articles detailing ideas and strategies on how to support NHPW and other hazing prevention initiatives. The #40Actions campaign is an easy way for your chapter to publicly participate in NHPW through the chapter’s Twitter account. You could also encourage other organizations in your local community to participate. The “A Different Look at Hazing” workshop and accompanying PowerPoint presentation was intentionally designed to be appropriate for both Greek and non-Greek audiences so it could be used as part of NHPW. If you need any other ideas or want some advice on how to get NHPW started on your campus, feel free to contact the General Fraternity office at (540) 463-1869. Also, please let the General Fraternity know when and how your chapter participates in NHPW by emailing news@sigmanu.org. The following articles address topics and concepts related to hazing. These articles can be helpful resources to spark important discussion and reflection on the importance of creating a values-based new member experience devoid of hazing. NHPW Message from the Regent - Expect the Best. Nothing Less. NHPW Message from the Executive Director - Understanding our past to ensure our future. Setting Standards - What Love is there in asking Candidates to run errands? What Honor is there in games that belittle a group of men? What Truth exists when hazing persists in the Legion of Honor? Forgiveness and Expectation - Do not let your chapter's past dictate what our future holds. The Impact of "Light Hazing" and the Snowball Effect - Our task is to help new members realize the best version of themselves. The "Why" of Candidate Education - Everything else is easy. Answering the "why" is hard. Interview Program Considerations - How to ensure the member interview is a value-add experience to the candidate program. Hazing Consent Form - What would a hazing consent form look like? Who would be dumb enough to sign it? A Tale of Two Chapters - Which story will your chapter tell? Lessons from Jonestown - What the largest mass suicide in modern history can teach us about the dangers of groupthink when combined with a denial of reality. Initiation Week - Providing a true capstone experience at the end of the candidate program.